DRA Global has been officially confirmed as the preferred Engineering, Procurement, Construction & Management (EPCM) provider for the Colluli Potash Project in Eritrea. Colluli is expected to become one of the world’s most significant and lowest cost potassium sulphate production centres. 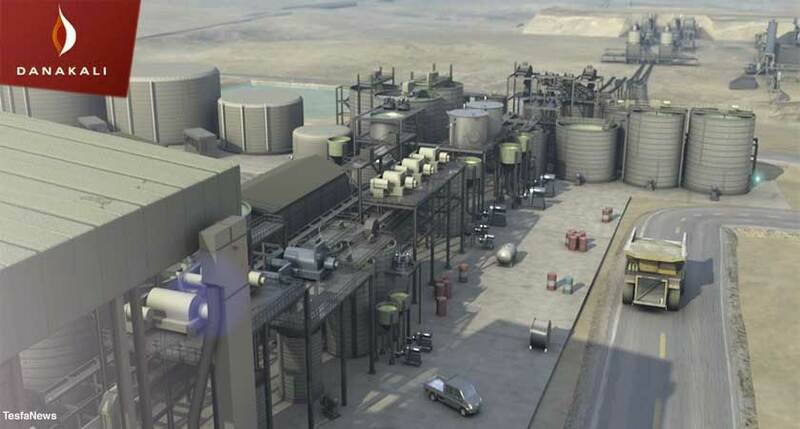 Danakali Ltd, on behalf of the Colluli Mining Share Co (CMSC), advises that DRA Global (DRA) has been confirmed as the preferred EPCM provider for the Colluli potash project, subject to completion of detailed contract terms. The confirmation of DRA as preferred EPCM contractor for Colluli represents another critical milestone for the project, reinforcing that Colluli is execution ready. DRA will be responsible for all aspects of design, project management, procurement, construction management and supervision as well as commissioning of the complete process plant and associated infrastructure, including provision of all temporary construction facilities. DRA will also be responsible for awarding major contracts such as early works, earthworks, structural, mechanical, piping, electrical and instrumentation works, laboratory and permanent camp (including life support, freight and logistics). Danakali, on behalf of CMSC, conducted a competitive EPCM tender process and evaluation for the Project based on the Front End Engineering Design [FEED] study. The tenders were assessed by Danakali and multinational engineering consultants Turner & Townsend against strict, established evaluation criteria. DRA was the standout in a premium field of global engineering groups. “We are very pleased to confirm DRA as the project’s preferred EPCM contractor, a global engineering firm of strong repute with extensive experience operating in Africa. We look forward to working with DRA in finalising the last few project sign-off gates and to commence project execution. Danakali and CMSC continue to achieve critical project and corporate milestones on the way to construction, commissioning and production at Colluli. With only ~75 km from the coast and miniralization starting at 16 meter, makes the Colluli potash project one of the most accessible and shallowest known potash deposits in the world respectively. The project is 100% owned by CMSC, a 50:50 joint venture between Danakali and the Eritrean National Mining Corp (ENAMCO). It is located in the Danakil Depression region of Eritrea and is ~75 km from the Red Sea coast, making it one of the most accessible potash deposits globally. Mineralisation within the Colluli resource commences at just 16 m, making it the world’s shallowest known potash deposit. The resource is amenable to open pit mining, which allows higher overall resource recovery to be achieved, is generally safer than underground mining, and is highly advantageous for modular growth. CMSC has completed a Front End Engineering Design (FEED) for the production of potassium sulphate, otherwise known as SOP. SOP is a chloride free, specialty fertiliser which carries a substantial price premium relative to the more common potash type; potassium chloride (or MOP). Economic resources for production of SOP are geologically scarce. The unique composition of the Colluli resource favours low energy input, high potassium yield conversion to SOP using commercially proven technology. One of the key advantages of the resource is that the salts are present in solid form (in contrast with production of SOP from brines) which reduces infrastructure costs and substantially reduces the time required to achieve full production capacity. The resource is favourably positioned to supply the world’s fastest growing markets. A binding take-or-pay offtake agreement has been confirmed with EuroChem Trading for up to 100% (minimum 87%) of Colluli Module I SOP production. The vision is to bring Colluli into production using the principles of risk management, resource utilisation and modularity, using the starting module (Module I) as a growth platform to develop the resource to its full potential. Colluli has a JORC-2012 compliant Measured, Indicated and Inferred Mineral Resource estimate of 1,289 Mt @11% K20 equivalent and 7% Kieserite. The Mineral Resource contains 303 Mt @ 11% K20 equivalent and 6% Kieserite of Measured Resource, 951 Mt @ 11% K20 equivalent and 7% Kieserite of Indicated Resource and 35 Mt @ 10% K20 equivalent and 9% Kieserite of Inferred Resource.